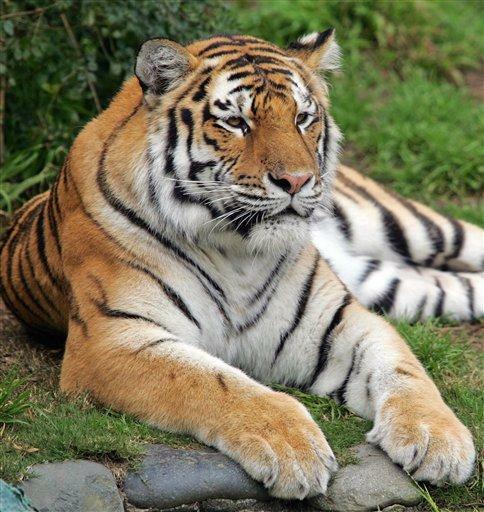 SAN FRANCISCO (AP) - A female Siberian tiger killed in a hail of police gunfire after fatally mauling a man at the San Francisco Zoo on Christmas Day 2007 likely was provoked into leaping and clawing out of its enclosure, a federal investigator said in documents obtained by The Associated Press. "With my knowledge of tiger behavior I cannot imagine a tiger trying to jump out of its enclosure unless it was provoked," Gage wrote in the Dec. 27, 2007, draft of her report. After sitting with its prey for a short time, Gage wrote that Tatiana likely followed the Dhaliwals' blood trail for about 300 yards (275 meters) to where it resumed attacks. Photographs show blood-smeared asphalt where the tiger apparently dragged Sousa's body. "After a kill, I find it interesting the tiger would leave a kill to go after something else unless there were a compelling reason," Gage wrote. "The tiger passed exhibits with warthogs which it ignored as it followed (the blood trail?) of the two brothers to the Terrace Cafe outside the dining area."